Who is interpreter Marina Gross and will her notes of Trump's Putin meeting be useful? Interpreters are concerned a Congressional subpoena would set a bad precedent. 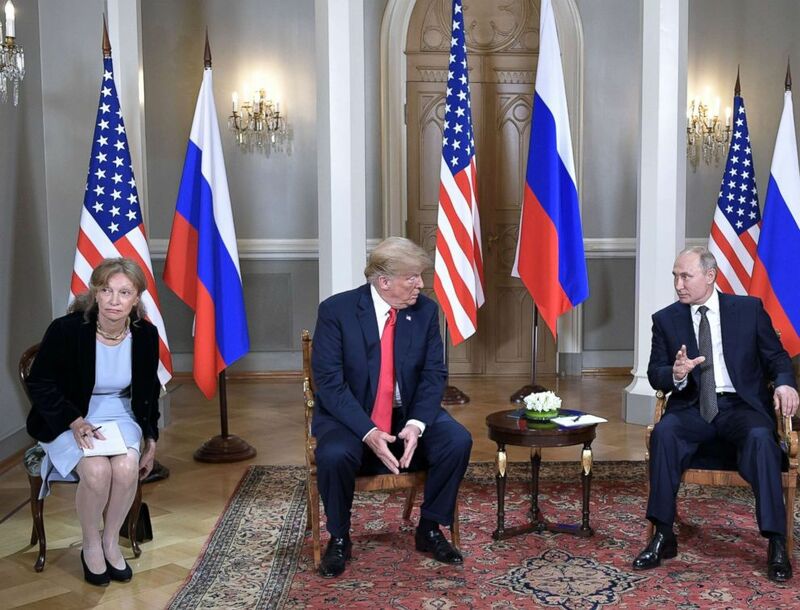 Marina Gross, a State Department interpreter, was the only other American in the room during President Donald Trump's one-on-one meeting with Russian President Putin in Helsinki last summer. ABC News has learned new details about the 64-year-old interpreter with the State Department's Office of Language Services who is at the center of the political storm over what she might know about the private conversations Trump held with Putin during their meeting in Helsinki last summer. Born in Russia, Gross was in her mid-20's when she and her family members immigrated to the United States in the late 1980s in the waning days of the Soviet Union. 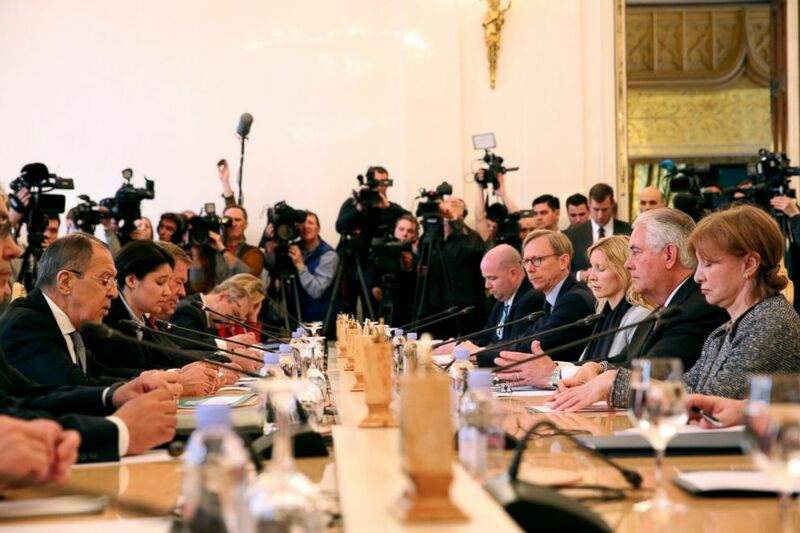 (State Department via Flickr) Russian Foreign Minister Lavrov gives opening remarks ahead of a bilateral meeting with U.S. Secretary of State Rex Tillerson and his delegation in Moscow, Russia, on April 12, 2017. 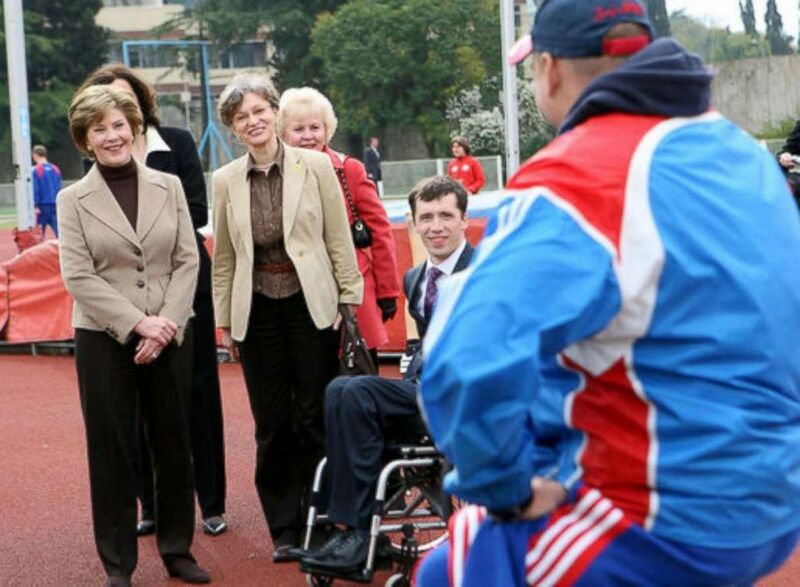 (Shealah Craighead/White House) Mrs. Laura Bush visits with members of the Russian Paralympic Team Sunday, April 6, 2008, during a visit to Central Sochi Stadium in Sochi, Russia. Standing with her is her interpreter, Marina Gross. But it is Gross' work in Helsinki on July 16 that has sparked the interest of Congressional Democrats because she was the only other American in the room for Trump's two-hour long meeting with Putin and his own interpreter. Since then, Congressional Democrats have said they want to gain access to Gross' notes to understand what Trump may have spoken about with Putin. A previous effort last year by Democrats to subpoena Gross and the interpreter at Trump's Hamburg meeting were shelved by Republicans who were in control the House of Representatives. Last week Michael McFaul, the former U.S. ambassador tweeted his support of Gross describing her as "a fantastic interpreter" and "a terrific person to boot!" "I've never heard of that happening in the 30 years that I worked the State Department or subsequently since I retired," said Dimitry Zarechnak a former interpreter with the State Department's Office of Language Services, who interpreted for President Ronald Reagan during some of his summits with Mikhail Gorbachev, the last leader of the Soviet Union. (Alexey Nikolsky/Sputnik/Kremlin/EPA via Shutterstock) President Donald Trump meets with Russian President Vladimir Putin at the Presidential Palace in Helsinki, Finland, July 16, 2018. In picture at left is seen US interpreter Marina Gross. According to media reports, US opposition politicians are calling for Gross to be subpoenaed before Congress amid growing concerns on the controversial two-hour closed-door summit talks between Trump and Putin, in which only the two leaders' translators were present. "I think it would just be a very bad move and bad precedent for diplomacy in general," he told ABC News. Harry Obst, the former director of the Office of Language Services who interpreted for seven American presidents, said that if he was placed in a similar situation, "I would not divulge any information." "That's because of the oath that you swear to not divulge any classified information on any level," he said. "Because you have a top secret clearance." "The whole idea of subpoenaing an interpreter is atrocious," said Zarechnak. "What foreign leader would want to meet with the U.S. leader thinking that 'well, the interpreter could be subpoenaed and tell Congress what the meeting was about.'" "The president would also have a great incentive not to use our interpreter if there was a danger that that interpreter would then be subpoenaed in Congress," said Zarechnak. "Unfortunately President Nixon and [former Secretary of State Henry] Kissinger specifically did not use our interpreters," said Zarechnak. "I guess for the sake of their secrecy" they relied only on the Soviet interpreters during their meetings. WOULD GROSS' NOTES BE OF ANY VALUE? Both veteran interpreters question whether Gross' notes would be of much historical value. Even if investigators successfully gained access to Gross' notes "they wouldn't know what to do with them in the first place" said Obst. That's because as a matter of course the notes taken by professional interpreters are less about taking verbatim quotes than they are about getting the right inflection or meaning of a word or sentence. What might be more useful are the official classified documents, known as "memorandums of conversation" or MemCon's, that are compiled by interpreters using their handwritten notes. MemCon's are ultimately only accessible by the Secretary of State and Obst said often times an interpreter will destroy the handwritten notes used during a meeting because they are no longer as relevant as the classified official document. "So really what is saved is the memo not the notes themselves," said Obst. That declassified MemCon captures a detailed flavor of the topics that were discussed during one meeting as well as Zarechnak's take about Gorbachev's. During a lengthy exchange on human rights in the Soviet Union, "Gorbachev interrupted, without listening to the translation, to say that he had understood what the President had said, and that he took all of this into account. He was familiar with the American political process, and the President should not hide behind this." Zarechnak then added his take on Gorbachev's interruption and what it might mean about Gorbachev's knowledge of English. "(U.S. Interpreter's Note: Gorbachev's indication that he had understood what the President had said without translation was unexpected, since he had never shown any indication of understanding English in previous or subsequent conversations. After the President's following remarks, Gorbachev specifically asked for interpretation and looked like he had not understood what the President had said. I think that the first time he was simply assuming that he knew what the President was saying, and was anxious to get into the plenary meeting.)"